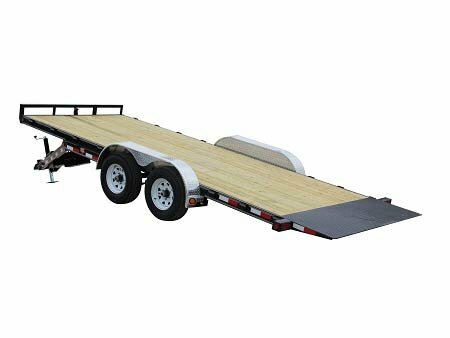 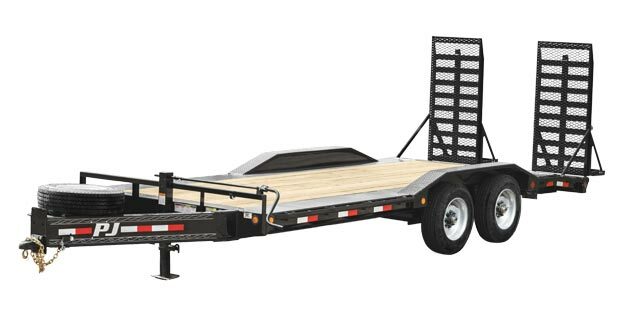 Outstanding mid-range equipment/flatbed trailer with 9,890# or 12,000# GVWR. 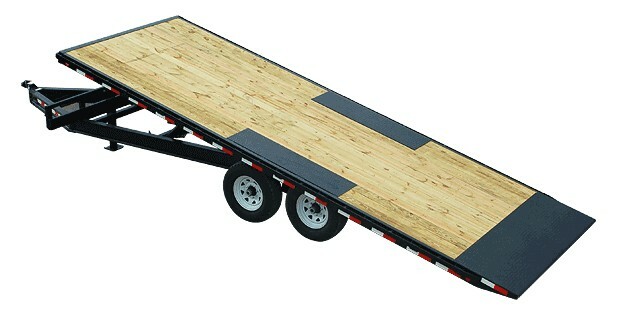 Standard rear slide-in ramps make loading autos or equipment easy. 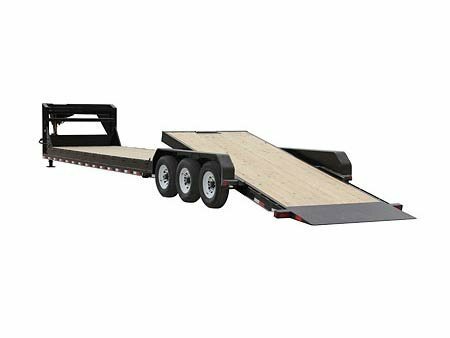 The popular Skid-Steer Package option provides a lower deck height and includes a tread plate dove-tail and stand-up ramps.